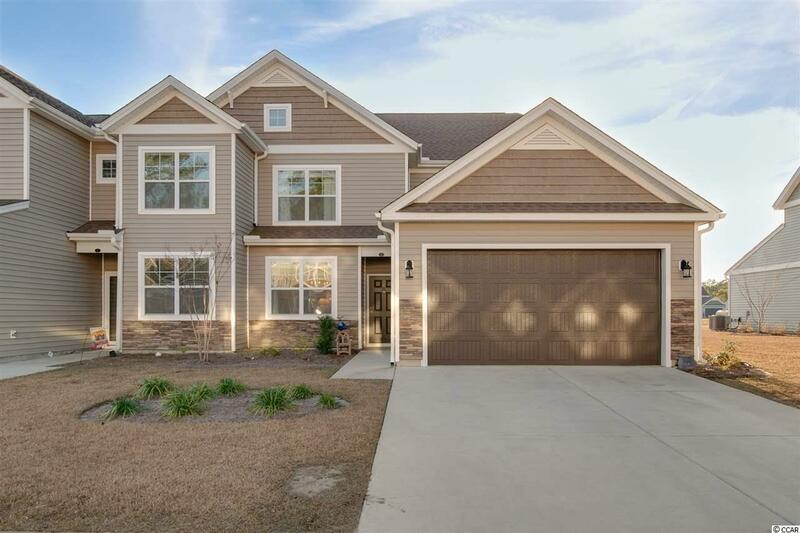 107 D Machrie Loop D, Myrtle Beach, SC 29588 (MLS #1902234) :: James W. Smith Real Estate Co. 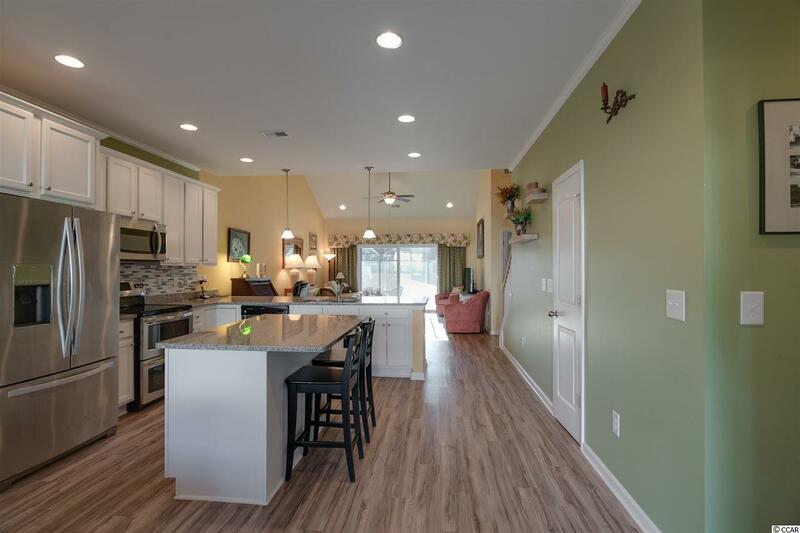 Experience low maintenance living in the Berwick section of Windsor Plantation. 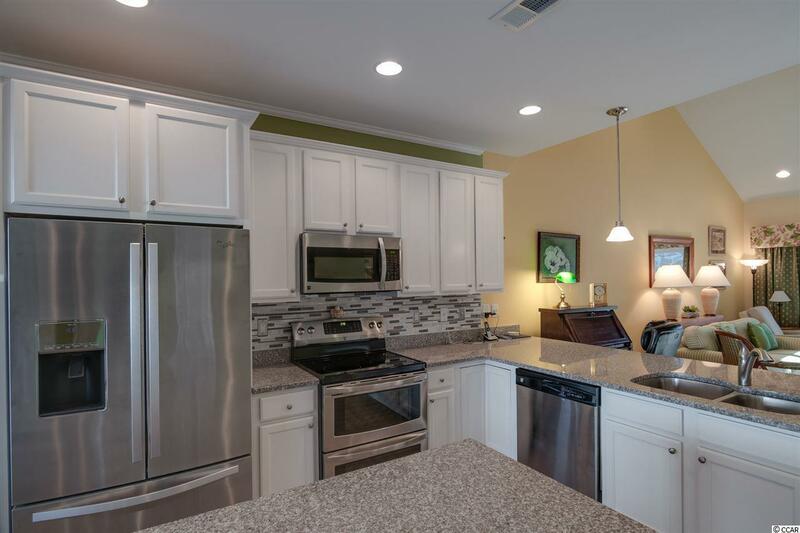 Built in 2016, this townhome totals 2450 sq ft with 3 bedrooms, 2 full and 1 half bath, a large living/family area, a laundry room, a dining area and kitchen that includes all appliances, and a 2 car garage. 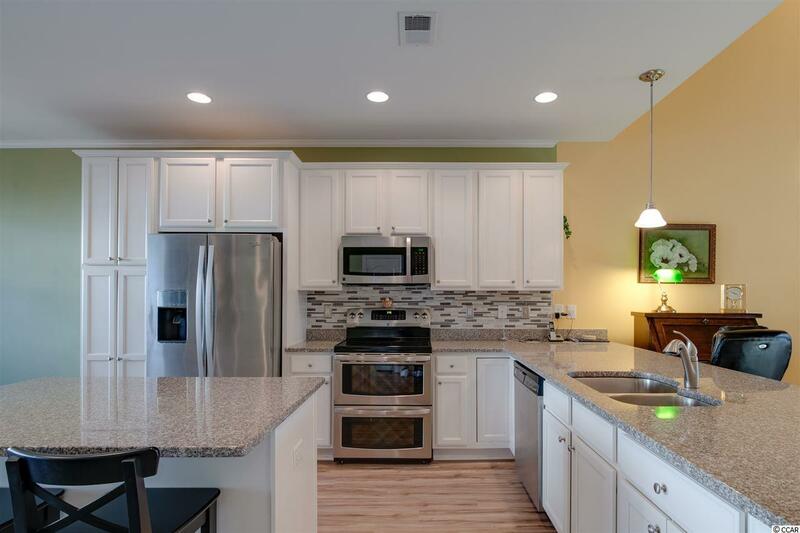 The present owner has added crown molding, solar shades, pull out kitchen shelves, and a finished garage with a storage area above. Window curtains and washer/dryer do not convey. Windsor Plantation is centrally located, convenient to beaches, dining, shopping, golf courses, medical facilities and the airport .